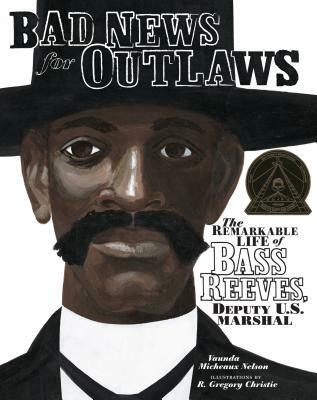 Read about the fascinating life of Bass Reeves, who escaped slavery to become the first African American Deputy U.S. Marshal west of the Mississippi. Sitting tall in the saddle, with a wide-brimmed black hat and twin Colt pistols on his belt, Bass Reeves seemed bigger than life. Outlaws feared him. Law-abiding citizens respected him. As a peace officer, he was cunning and fearless. When a lawbreaker heard Bass Reeves had his warrant, he knew it was the end of the trail, because Bass always got his man, dead or alive. He achieved all this in spite of whites who didn't like the notion of a black lawman. Born into slavery in 1838, Bass had a hard and violent life, but he also had a strong sense of right and wrong that others admired. When Judge Isaac Parker tried to bring law and order to the lawless Indian Territories, he chose Bass to be a Deputy US Marshal. Bass would quickly prove a smart choice. For three decades, Bass was the most feared and respected lawman in the territories. He made more than 3,000 arrests, and though he was a crack shot and a quick draw, he only killed fourteen men in the line of duty. The story of Bass Reeves is the story of a remarkable African American and a remarkable hero of the Old West.